Khodorkovsy’s business partner barred from leaving the country | Russian Legal Information Agency (RAPSI). 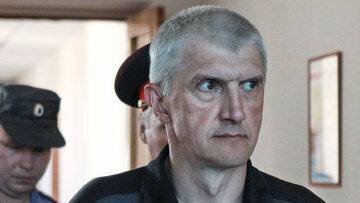 MOSCOW, April 14 (RAPSI) – Russian Federal Migration Service has officially notified Platon Lebedev, former business partner of Mikhail Khodorkovsky, that he is temporarily prohibited from leaving Russia. Later the Moscow City Court reduced their sentences by one year each. Then last year, the Moscow City Court reduced the sentence again from 13 to 11 years. In August the Supreme Court held that the sentences of Khodorkovsky and Lebedev should be lowered to 10 years and 10 months, thus partially satisfying their requests on supervisory appeal. 11:03 14/04/2014 Russian Federal Migration Service has officially notified Platon Lebedev, former business partner of Mikhail Khodorkovsky, that he is temporarily prohibited from leaving Russia.